Wearable Imaging is honored to have been working with ABC's hit show, Grey's Anatomy, since Season 1 in 2004. We provide branded items used on set such as pens, notepads and coffee mugs. 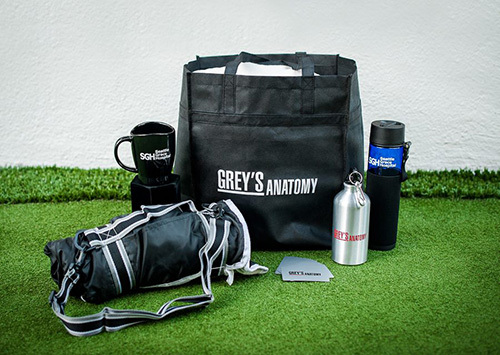 We also create the official Grey’s Anatomy swag which is given out to VIPs who visit the set. In past years, we have provided Christmas gifts for the cast and crew.